Eugene is a barrister practising principally in revenue law. He has appeared for both taxpayers and the Commissioner of Taxation in leading cases in the High Court and Federal Court including: AusNet, Orica, SPI Powernet, Australian Pipeline Trust and Financial Synergy Holdings. 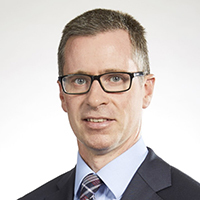 Eugene has over 11 years’ experience at the bar advising on and acting in disputes involving issues such as consolidation, transfer pricing, the CFC rules, thin capitalisation, double tax treaties, capital gains tax, the debt/equity rules, capital/revenue distinctions, losses, taxation of trusts and Part IVA. He advises clients in the mining, infrastructure, telecommunications and financial services industries, among others, providing opinions and assisting them in their dealings with the Commissioner during reviews, audits, objections and litigation.